Skim: a graphic novel with words by Mariko Tamaki, illustrations by Jillian Tamaki: A story about a lesbian student-teacher affair at a thinly fictionalized Havergal College. Mosh Pit by Kristyn Dunnion: a YA novel about young punk rock queers. Missed Her by Ivan Coyote: This is the most recent book I've read by Ivan and it had me weeping and I'm *really* not easily moved but actually I would urge you to buy all of Ivan's books of stories, or Bow Grip, Ivan's novel, which was excellent. In the seductive labyrinth that is The 49th Shelf, a chief delight is discovering books you didn’t even know you were looking for, and this is precisely what happens when you explore the site using “summer” as a title search term. The search reveals a wealth of literary treasures, including The Summer of Apartment X by Lesley Choyce, whose nostalgia is less sepia-toned than vivid 1970s’s orange, the story of three guys whose plans to take over a summer beach resort town don’t go remotely according to plan. Or Andrew Binks’ The Summer Between, a darker story which depicts a young boy struggling against homophobia and racism in contrast to its idyllic summer setting. 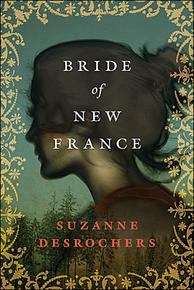 I met Suzanne Desrochers (Bride of New France, Penguin Group Canada) in a carpool en route to an event in Uxbridge hosted by Blue Heron Books. Suzanne sat in the front. I sat in the back. Over the sweet music remix provided by publicist Barbara Bower, we shouted back and forth about a variety of topics: England. Agents. Babies. On the return trip, we sat together in back, talk turning to, well, England. Agents. Babies. 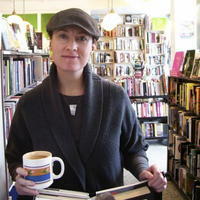 Back in our usual corners, I asked Suzanne if she'd like to expand a bit on some of the comments from the evening's panel: traversing the divide between academic writing and fiction, unveiling previously hidden historical figures, and a day in the life of one writer with kid and another on the way. Hurrah for us, she agreed, and I think you'll enjoy the chat. Welcome to The Personal Book Shopper Contest! To recap, we know word-of-mouth is the #1 one way readers find their way to their next book. And we know that if you're into social media, you're used to sending out the call for recommendations of one sort or another. So to hearken back to my earliest days as @BookMadam, I'm going to hook you up with some good books. It's the personal touch. We're inviting readers to submit a few "choice words" to describe themselves. Have a deep think and get as creative as you'd like. Using those words, I, along with a rotating door of readers, publishers, booksellers, authors, bloggers, librarians—you name it—will attempt to come up with not one but three books we think you might like . . . and then we're gonna give 'em to you! We'll choose three winners per contest. 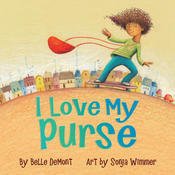 Counting on my fingers, that's, yep, nine books given away each month. Even if you don't win, you'll still walk away with a new reading list! And the first contest begins . . . now! What dad doesn’t like a bit of plot? For Father’s Day this year, may we suggest Martha Ostenso’s Wild Geese, which portrays the very worst father in all of CanLit? It’s a great read, but more than that, the tyrant Caleb Gare will make your own dad look really good in comparison. Another creepy dad reigns in Jonathan Bennett’s Entitlement, which is a fun, twistily-plotted novel that your dad might enjoy reading at the cottage this summer. (Or he might like any of the books recommended in Bennett's Power and Politics reading list). So creepy, we’re glad he’s not anybody’s dad is the protagonist of Tony Burgess People Live Still in Cashton Corners, a perfect gift for the father who likes to blur the lines between true crime and disturbing fiction. And how about a couple of legal thrillers: Robert Rotenberg’s Old City Hall, and also his latest novel, The Guilty Plea? A father/son relationship is at the heart of Andrew Pyper’s terrifying novel The Killing Circle, and also in Thomas King’s just-as-mysterious Truth and Bright Water.